i'm new in the forum and i like to share my build where i successfully installed High Sierra following the guide! The installation process was very simple and i dindn't need to follow the instructions related to amd graphics card. The only minor issue was the display port audio that didn't come out of my gpu. Solved installing HDAudio Kext and removing HDAudioDisabler Kext in the EFI Partition. I didn't follow the part related to amd graphics card. My r9 280x worked without problems from the start. plus i removed hdaudiodisabler from the EFI partition. Hey, I'm new here too! 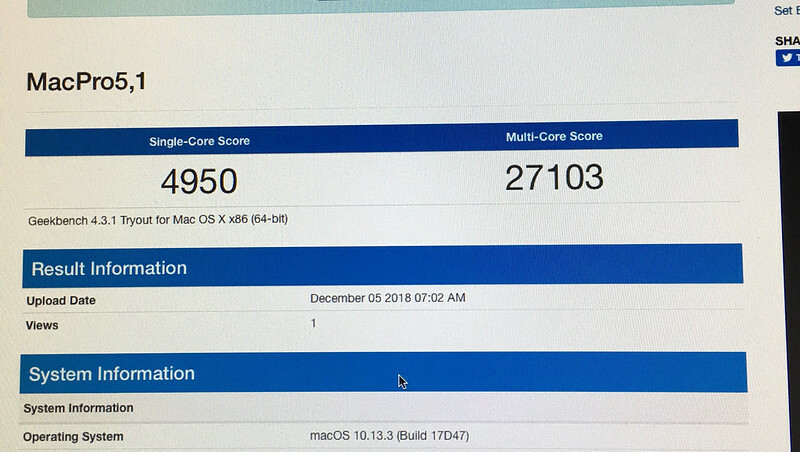 I have a similar build as yours AlbertX, yet my Geekbench score is a little lower. If you want to increase just overclock it! Now mine is clocked 4.3 and it scores approx 30k in multi and 5k.1 in single. I would love to see some screenshots on what a TR1950x can do? I'm mean you did put that out there, show and tell. If your is not stable doesn't mean all "ryzentosh" are unstable. For example mine is working flawlessly and geekbench/cinebench/opencl scores reflect on the system performance. Speaking of numbers in Final Cut Pro x running BruceX Test is score 27 seconds (which is ok for my r9 280x), Lightroom photoshop and all the other software i use for photo editing work perfectly. also following the guide of this forum it was easier to install mac os x on ryzen cpu rather than on my old intel core i5. which lightroom and photoshop version you used? Thanks!